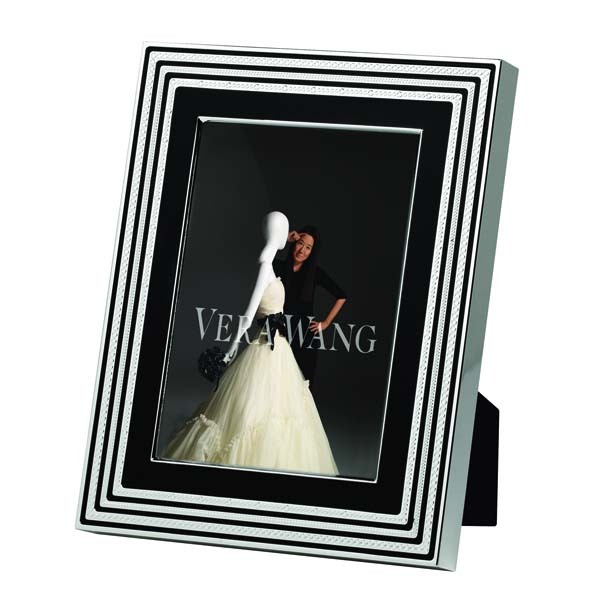 Showcase your favorite pictures beautifully with this 5" x 7" Frame; which turns memories into momentoes highlighted wiht the clarity of silver plate and black enamal. The signature elegance and style of Vera Wang is exemplified by her stunning With Love noir collection; inspired by key geometric elements of her With Love collection. 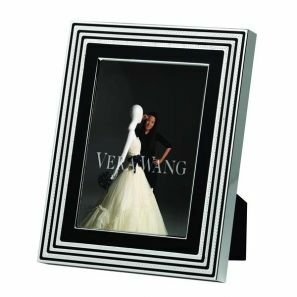 Showcase your favorite pictures beautifully with this 5" x 7" Frame; which turns memories into momentoes highlighted wiht the clarity of silver plate and black enamal.